At American Medical Academy, we target higher success rates in nursing board exams and clinical laboratory scientist national certifications. A roster of topnotch faculty with solid experience and background provides you with the tools to realize your goal of passing the exams. American Medical Academy is the premier review center for nurses, clinical laboratory scientists/medical technologists and healthcare professionals worldwide who want to pursue a career in the United States. 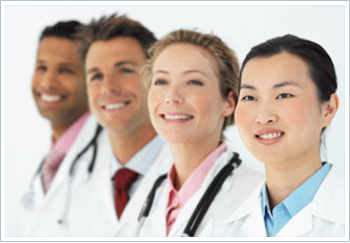 American Medical Academy values your future role in the healthcare industry. According to the US Department of Labor, overall employment opportunities for nurses and healthcare professionals are excellent, with 2.5 million jobs held in hospitals and other industries in 2006. The numbers are expected to grow by 23 percent (equivalent to 587,000 new jobs) until 2016, a much higher rate than the average for all occupations. American Medical Academy believes that you deserve your place in the vast future, beginning now. 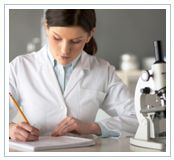 American Medical Academy offers review classes designed to achieve effective results. Live instruction at American Medical Academy is intensive, comprehensive, dynamic, and interactive. Our review is based on masterful planning and years of experience, demonstrating strategies, skills and up-to-date knowledge to give you a confident edge in the tests.